On St. Martins Day, 11.11 at 11:11 carnival started here in Germany. At this particular time of the year, small bakeries start baking a different kind of deep-fried pastry. 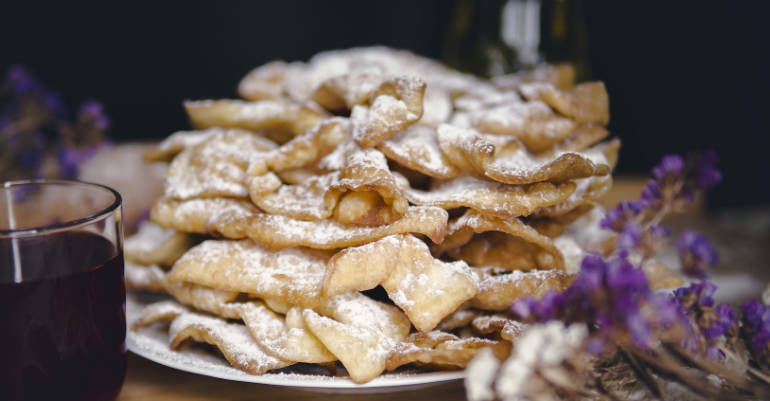 Among all deep fried goodies, there is a pastry that has various names here in Germany, and it is beloved at this time of a year. To describe it I will use the name used in Hesse: kreppel. There are many variations of it, not only in Germany but the rest of the world. Carnival is a festive season that occurs before the liturgical season of Lent. In Germany, it starts already before Christmas, because also before this celebration some people commit to fasting. At this period, it seems necessary to consume all the food that you cannot eat while fasting. Those dishes include fat, meat, lard, eggs and milk products. 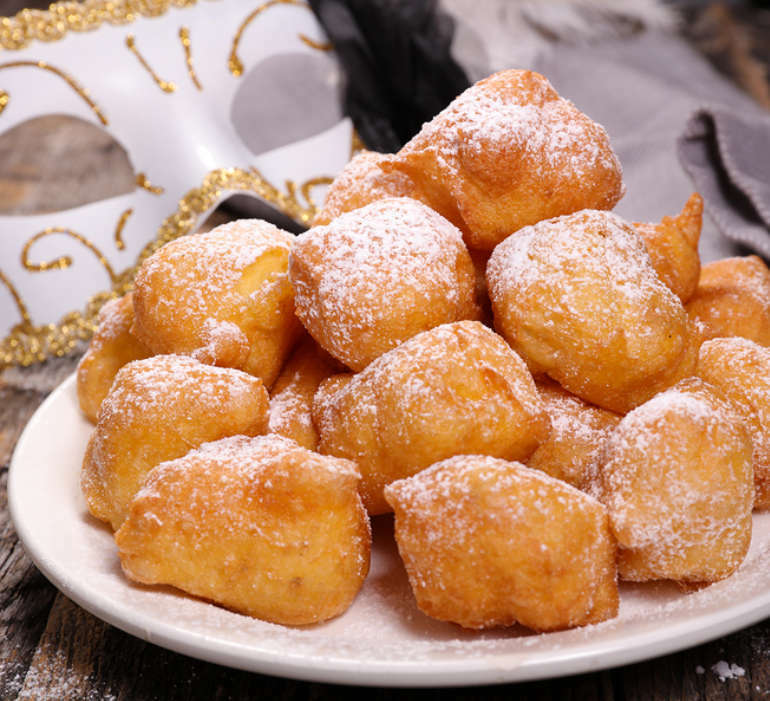 Kreppel is a deep fried pastry prepared in oil or fat and filled with a sweet filling. The filling and the topping are different in every region, and there are also modern variations. The kreppel should be crispy from outside and fluffy from inside. The doughnut is usually filled with any red jam: raspberry, strawberry or rose hip jam. 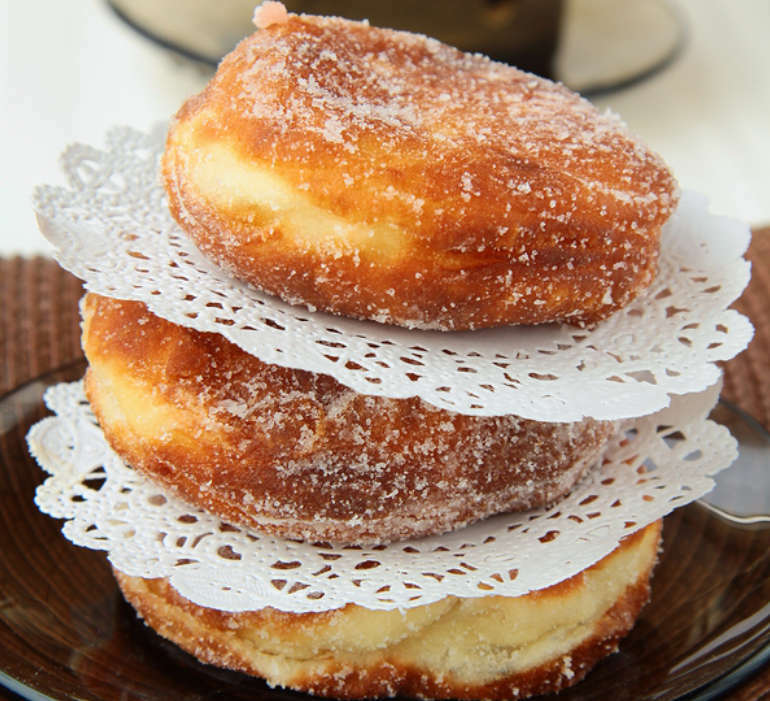 In Bavaria, the most popular filling is an apricot jam, in the East people prefer to have their doughnuts with plum jam. Modern recipes contain cream, vanilla cream, nougat, advocaat or my favourite strawberry champagne jam (what a fancy treat!). The usual topping is powdered or regular sugar, but you can also find very often kreppel with icing or chocolate glaze. The topping can indicate what the filling is – e.g. nougat kreppel usually have a chocolate glaze on the top, but to make sure, I would always ask the vendor. You don’t want to buy kreppel with mustard, don’t you? There is a common joke in the North of Germany that some of those treats are filled with mustard, so make sure to check your filling before eating – especially during New Year’s Eve! As already mentioned, the name for this delicious deep fried pastry that we use in Hesse is kreppel. If I have already convinced you to try kreppel, you need to be aware of the fact that this pastry is called differently in German-speaking countries. 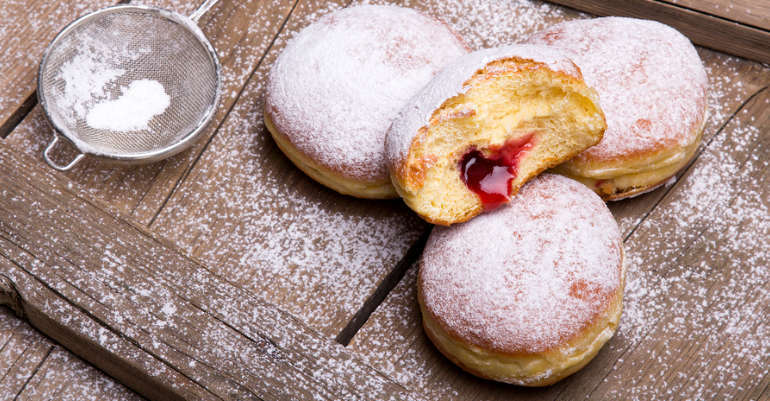 In Northern and Western Germany as well as in Switzerland they use the word berliner, in Berlin and Eastern Germany, the dish is known as pfannkuchen, which in the rest of Germany generally means pancake. In Southern and central Germany as well as in Austria, they call it krapfen. If this is too confusing for you, remember that while ordering you can point the pastry with a finger, that will also do! Today kreppel can be purchased throughout the whole year, especially in bigger bakery chains. I still wouldn’t recommend them. It is worth waiting for carnival or New Year’s Eve to come and try different variations of doughnuts in other bakeries.